Congratulations! You've met with a manager. You've been accepted. You're scheduled to start training soon. How can you best prepare for training? Your local manager saw something they liked about you and decided to give you an opportunity to join the team. Nice work. Your next step is to prepare you to get the most out of training so you can hit the ground running. Your training sessions are designed to introduce you to the ins and outs of working as a CUTCO sales rep. Trust us: you'll learn a lot! 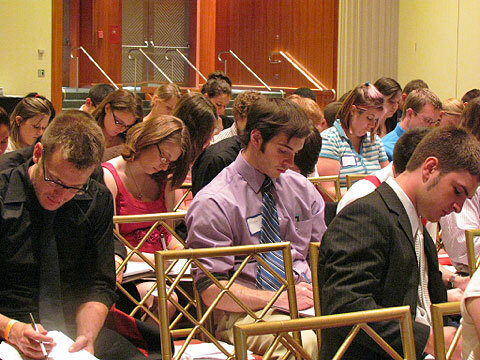 New sales representatives participate in a two or three-day training session. While training is unpaid, this is the same training used in classrooms at Purdue and University of Calgary, which means that you'll have access to top-notch industry professionals and valuable professional skills. As you may remember from your interview, CUTCO is high-quality, American-made, and guaranteed FOREVER. Over 15 million homes in the United States already have CUTCO in their kitchen. Keep an open mind and a positive attitude. Be involved. Ask questions if something is unclear. Give yourself enough time so you're not stressed. Plan on arriving at least 15 minutes early. Selling knives is definitely unique. At the end of the day, selling CUTCO will provide you with an opportunity to develop your sales skills. Whatever career path you choose, you will always be selling, and the sooner you learn how to sell the better prepared you will be. You'll attend an initial training session that takes place over a two or three-day training session at your local office. Your manager can provide you with more information about upcoming training dates and options. You'll receive a loaner set to show to potential customers during your demonstrations. If you've never used a CUTCO knife before, prepare to be impressed! You'll start setting appointments and meeting with potential customers! Don't worry - you'll have the support of experienced people - such as your District or Branch Manager - to guide and mentor you every step of the way. If you're a bit nervous, that's totally normal. You're starting something new and exciting. We can guarantee that by the end of training, you'll know more about kitchen knives and sales skills than 99% of people. 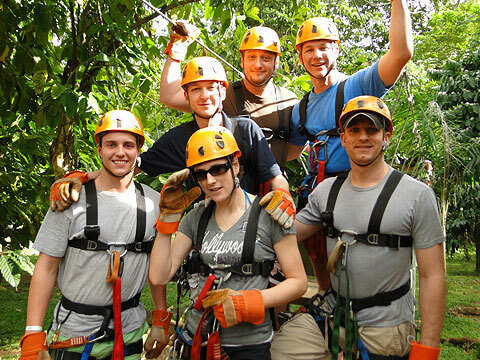 After winning a sales contest, the Virginia Division pauses while zip lining through the exotic backcountry of the DR. (L to R) Patrick Quinn, Delphine Guiloux, James Crittenden, Dan Miller, Charlie Haislip and Rich Plaskon. 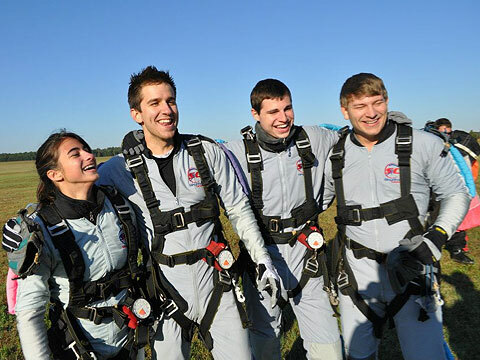 To celebrate his 24th birthday, Kyle Law (2nd from the left) jumped out of a plane with a few of his Vector friends. (L to R) Cathy Cortell, Kyle, Thad Tarkington and Matt Warren. They lived to sell another day. Those who get the most out of the Vector Opportunity are the ones who put the most into training. Don't sweat, we'll teach you everything you need to know.